Collin County folks may be familiar with Sea Breeze Fish Market & Grill, only only concept of its kind in the Plano area. Since 2007, Sea Breeze has been known for offering the freshest fish in town and since then has expended to become a full-service restaurant. As of this month, the restaurant rolled out a handful of new menu items and list of cocktails that will be sure to please all seafood fans. 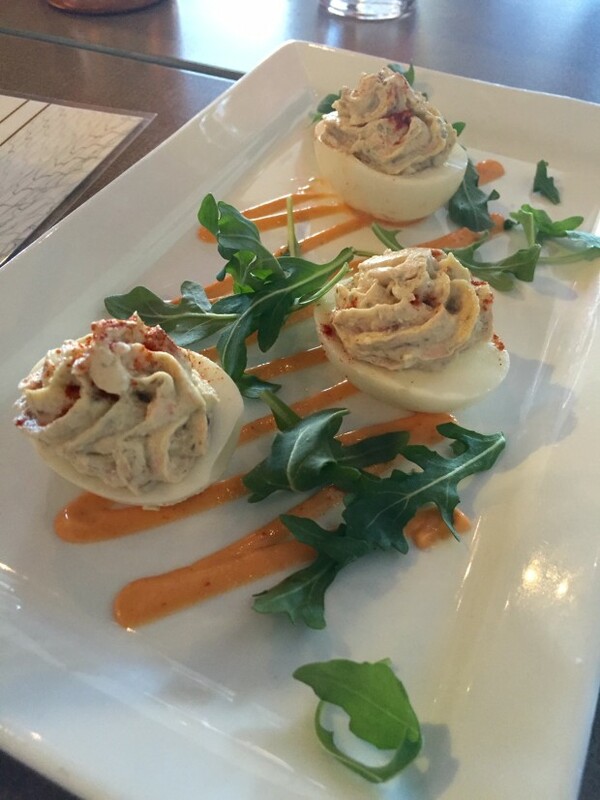 These Smoked Salmon Deviled Eggs are new and totally shareable with friends. They come topped with arugula and Sriracha mayo. The Atlantic Salmon is one of the freshest catches you can order and doesn’t leave that weird fishy taste in your mouth. 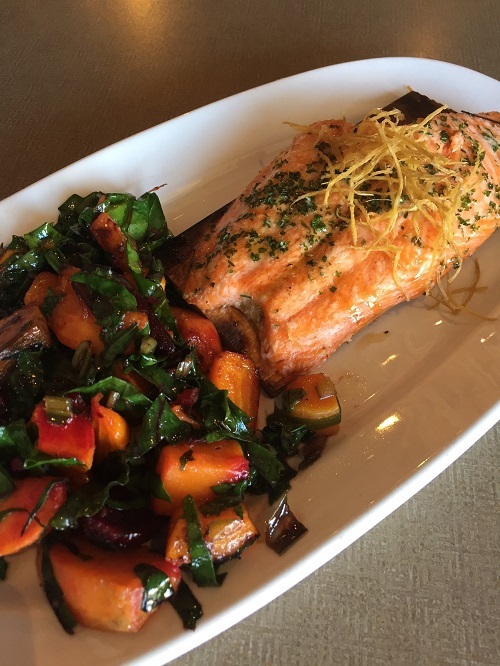 Served with sweet potatoes and veggies, this delicate and large portion can even be shared unless you want it all to yourself! 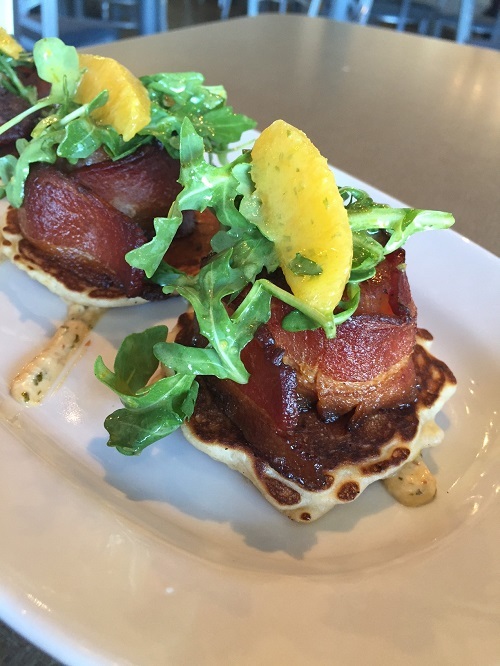 Now these are one of kind sea scallops…wrapped in bacon and sits on top of a small pancake. It’s almost too pretty to eat! Sea Breeze created six new handcrafted cocktails, which are also available on their happy hour menu (Mondays – Fridays from 4-7 p.m.). Each drink is $9 and dropped to $6 during happy hour. 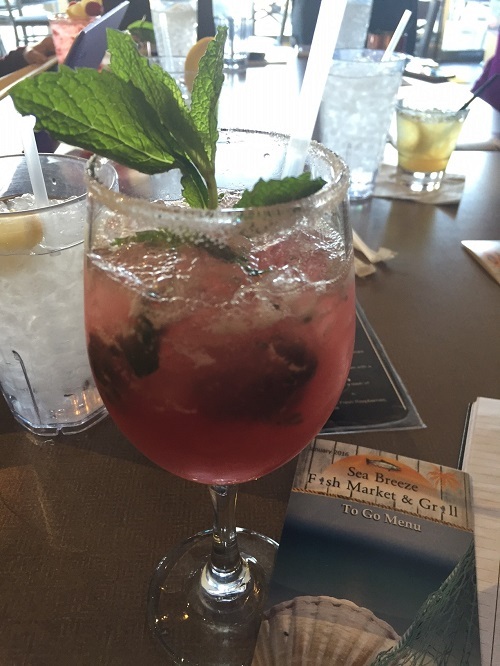 The West Plano Punch pictured below is a fruity and refreshing blend of Olmeca Resposado Cointreau, lime and pomegranate juices and shaken with fresh mint. Guests are invited to sign up for the Sea Breeze cooking classes offered twice a month on Sunday afternoons. Visit the website for details and to register. Each class is $50 and comes with three courses, dessert and wine. Trust me, you will have lots to take home after the class! Sea Breeze will also kick off its halibut season on March 22 and currently offers crawfish brought here from gool ol’ Louisiana. Furthermore, the chef offers daily specials on a separate menu (with wine pairing offerings), so you’ll have a variety of choices every time you visit Sea Breeze. Yum! 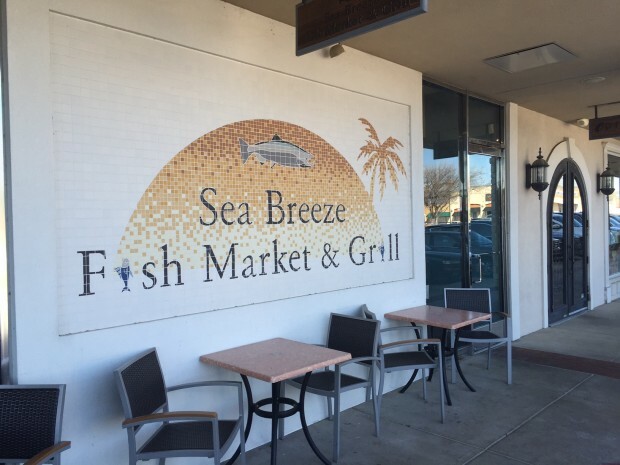 Sea Breeze Fish Market & Grill is located at 4017 Preston Rd #530 in Plano. Previous Previous post: Mamma Mia! March 9 is National Meatball Day. Celebrate at Kenny’s Italian Kitchen in Addison! The lobster roll at Seabreeze is the best. I wish they would get rid of those frozen fries, and instead use fresh cut, like T.J.’s or Rex’s.